The entry of our race has started from December and I suddenly got crazy busy since then. As it’s December, I feel everyday goes too fast too. Well, today is Christmas day!! Merry Christmas everyone!! 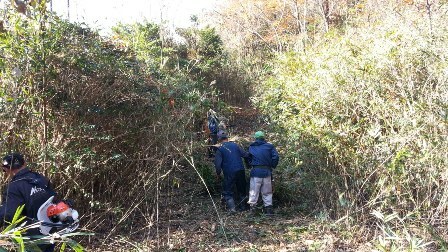 We of course have to work today but because it’s Wednesday I’m working at Seiwano mori course. Since November, we have been having so many visitors here and we really appreciate about it. Have you already checked our HP for the race next year? You can enter the race or apply the volunteer from this site. And we will also hold a walking meet at same time. 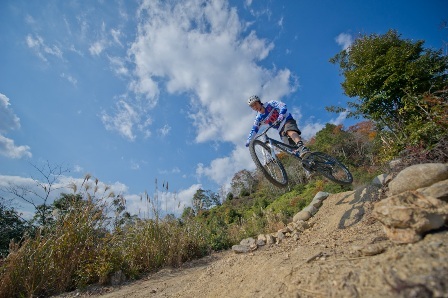 We are preparing rice for MTB race, and Kids MTB for working meet as prize or lot. many indigenous products for participators too!!! 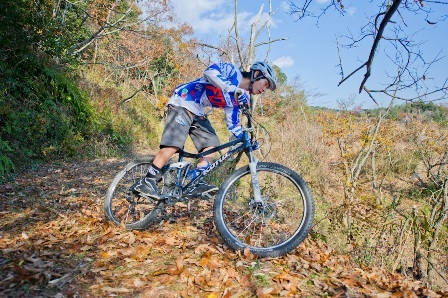 So please feel free to entry our race “Seiwa-Taki MTB Race 2014”! Yesterday was Wednesday so I was at the front desk at Seiwanomori-course. We opened full course from November and we had more than 100 visiters in a month. Compared to last few months (when this course was pre opened) it became more than three times increase!! We had test-ride events on this course too. The course has been still improving day by day. Please repeat many times to conquer here. 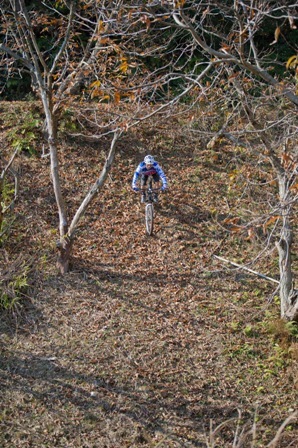 The Picture is a scene that Kaz is test riding which is well taken. 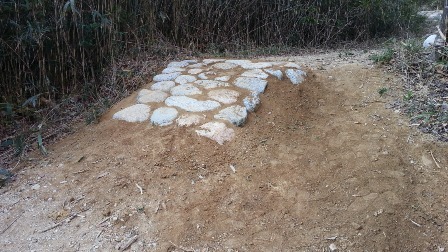 Today, I’m announcing about “The Rock Section” which is half completed on Seiwanomori-course. of the Rock Section which is one of the main attraction of this course. Man power is the most helpful I thought. 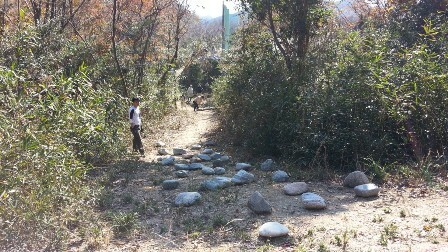 They are used to working in mountain so I guess it was more quicker than we were expecting. We feel very happy about regional people working for us like this. Thank you so much everyone who helped us and we look forwarding to your ongoing support!